The third reading of the 2019 budget was passed in Parliament today (5th) with a majority of 45 votes as 119 MPs voted for it and 74 against it. The United National Front (UNF) and the Tamil National Alliance (TNA) voted for the Budget while the 6 JVP MPs voted against it. 31 MPs did not vote. Some of the Sri Lanka Freedom Party (SLFP) MPs were not in the chamber while the vote was taken up. The 48th Commemoration of April Heroes under the theme ‘Let’s commemorate our fallen Heroes forever’ will be held by the JVP at Anuradhapura, Kandy and Matara simultaneously today (5th) at 3.30 p.m. 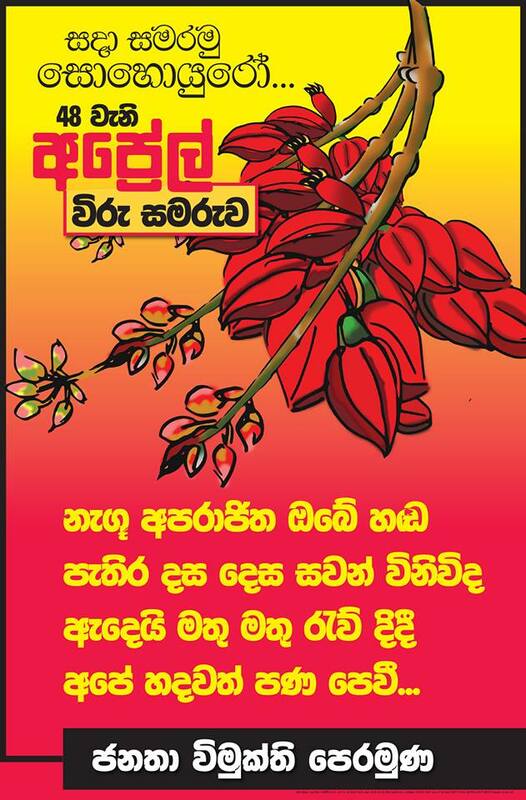 The commemoration is held by the JVP on 5th April every year to pay tribute to those heroes who sacrificed their lives in 1971 for the cause of making this country a better place for all to live in. The commemoration at Anuradhapura will be held headed by the General Secretary of the JVP Tilvin Silva at ‘Sisila Gardens at Kmbachchanpulama in Anuradhapura. The commemoration in Kandy to be held at the Postal Auditorium will be headed by the Member of the Political Bureau of the JVP K.D. Lal Kantha. The Member of the Central Committee Samantha Viddyaratna will chair the commemoration to be held at Uyanwatta in Matara.